The successful community relationships we’ve built over the years are what continue to drive the hard work and dedication of our staff and board members. Britt is passionate about environmental education and has extensive experience supporting innovative community development. She completed a Master’s degree in Environmental Studies at York University and is an Ontario Certified Teacher. Since 2007, Britt has worked with diverse communities to promote environmental stewardship, sustainable development, and community engagement. Her experience includes multi-stakeholder municipal, regional, and national planning initiatives, including those related to urban agriculture, food security, green infrastructure, and active play. Britt is a member of the City of Mississauga’s Environmental Action Committee and serves as a board member of Green Communities Canada. 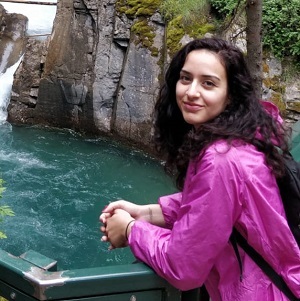 Eninna loves applying her many skills, passion for sustainability, and experience working with others to creating a more environmentally responsible community. From her time volunteering at Evergreen Brick Works and Not Far from The Tree to her participation in the Youth Rain Action Project at Ecosource, Eninna has used her communications savvy and administration, IT, and graphic design skills to make her mark in the not-for-profit environmental sector. 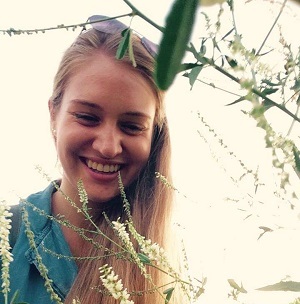 Eninna’s passion for the Earth has also taken her further afield to several organic farms in Nice, France, as part of the WWOOF program (World Wide Opportunities on Organic Farms). She holds an Honours Bachelor of Arts in International Studies from York University (Glendon), a post-graduate certificate in Geographic Information Systems from Fleming College, and enjoys cooking, gardening, dancing, and food art. A seasoned educator, entrepreneur, and advocate on both sides of the Canada–US border, Kelven has been fortunate to reside at the crossroads of program management and sustainability for over 15 years. In June 2016, after 8 years as the founder and president of the green infrastructure social enterprise Verticiel Inc., Kelven joined the Ecosource team. 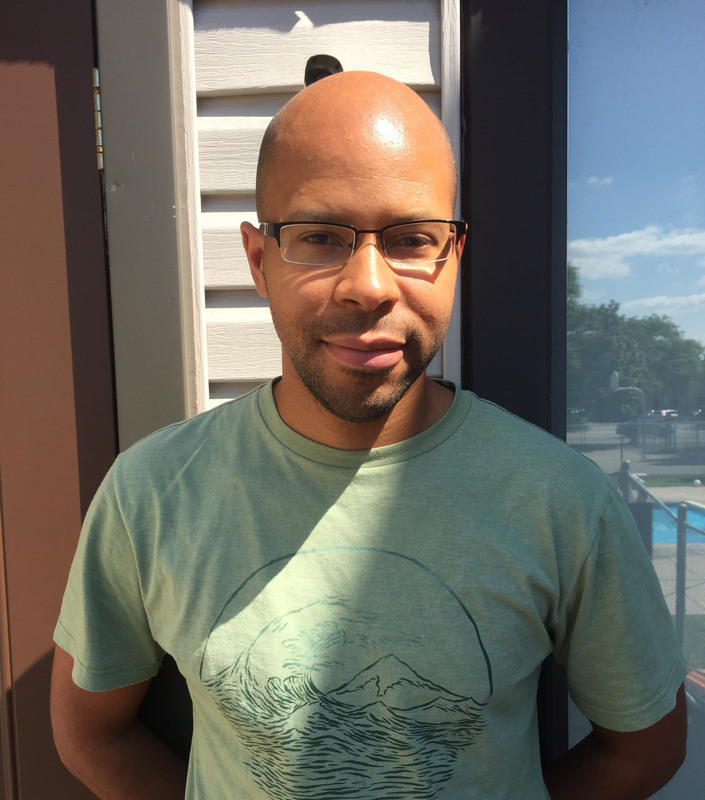 A lover of learning, Kelven is delighted to work with his colleagues on Ecosource’s burgeoning sustainability education, play, and youth action/leadership projects. When not in the office, Kelven is plotting which Ontario waterway or beach to visit next. 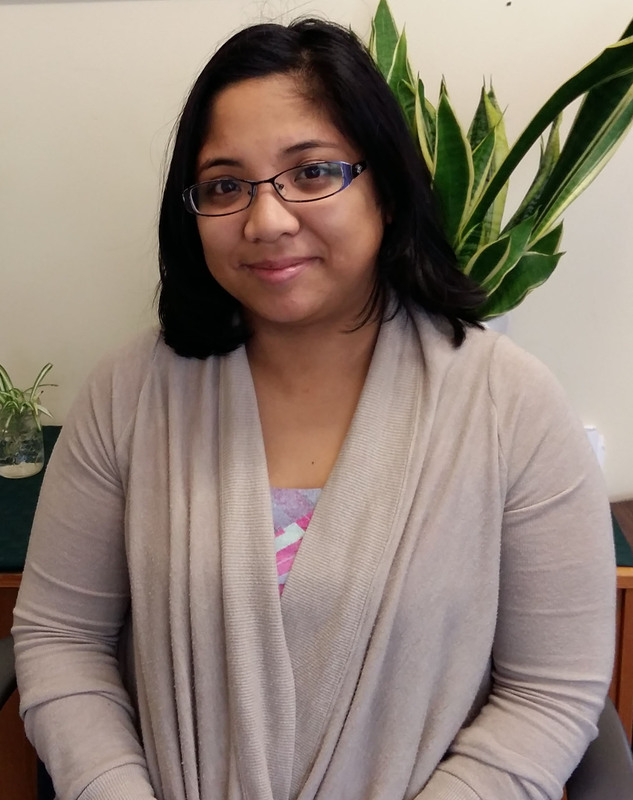 Susana loves working with youth! She believes that youth have power to create change in their communities, and strives to help guide youth in their action and participation in environmental matters. She is a strong advocate for outdoor education and experiential learning. Susana has been involved in environmental stewardship and education activities in Peel Region throughout her life. 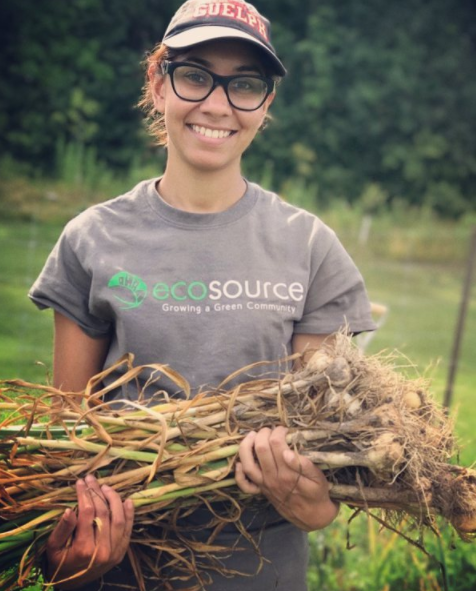 Before coming to Ecosource, Susana worked as a Crew Leader for Credit Valley Conservation’s CYC program where she grew her passion for working with youth. Susana has a Bachelor of Environmental Studies from York University. 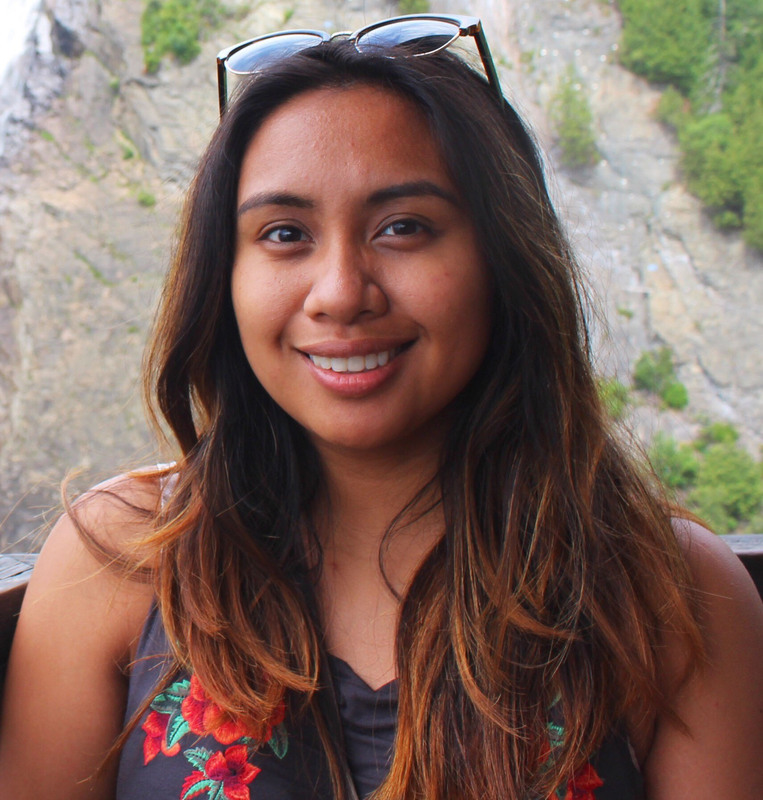 Susana coordinates the Peel Environmental Youth Alliance (PEYA) program at Ecosource and assists the PEYA Executive Council in planning events. She is excited to help equip youth with the knowledge they need to become environmental stewards within their own communities and schools. 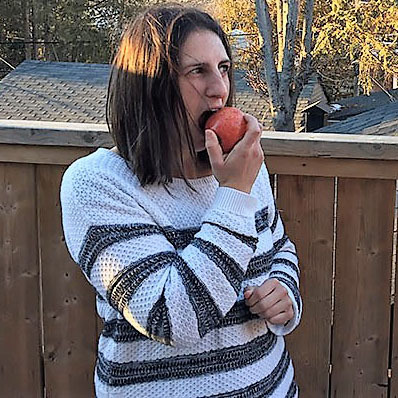 In her spare time, you can find Susana hiking along Ontario’s beautiful trails, traveling the world, playing soccer, practicing yoga, or cooking delicious plant-based foods. Stephanie believes in children’s right to play! She is a bilingual early learning educator who has been actively working within the Ontario Early Years framework for over 3 years. 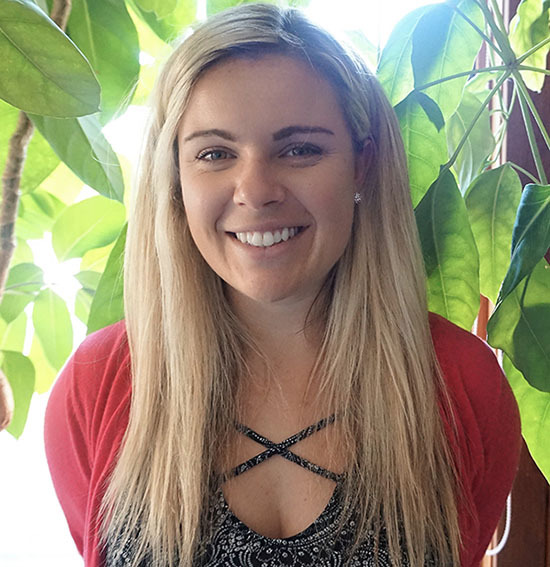 Stephanie focused her research on the study of psycholinguistics and child development while completing her Honours Bachelor of Arts in Linguistics from York University, with a minor in French Studies. In her work as a community developer, she supported families in underserviced neighbourhoods in the Region of Peel, providing them with mobile early learning programming and resources and fostering many community partnerships. Stephanie continuously develops her knowledge in outdoor play and play work and is a trained Francophone Family Literacy Program facilitator. 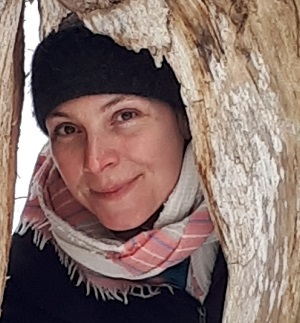 She is dedicated to connecting children meaningfully to the natural world through creative and engaging programming. shannon has been growing gardens since she was a child. Inspired by the world’s natural cycles, she enjoys finding connections and supporting the growth of resilient communities. She has managed both urban and rural farms, worked with FoodShare as an Urban Agriculture Youth Facilitator, and has been a member of the Guelph Wellington Food Round Table and the Headwaters Food and Farming Alliance. In the fall of 2018, shannon completed the Reconciliation Through Indigenous Education course offered by University of British Columbia. shannon feels a responsibility to address injustice, join the call to action to be respectful stewards of our air, lands, and waters, and to have fun along the way. shannon's journey has found her building homes, learning about natural healing, experimenting in the kitchen, and reading multiple books simultaneously. She operates optimally with regular exposure to sunshine and forests. Merissa is dedicated to bringing people together around food. She has over a decade of experience developing hands-on cooking and nutrition education programs for youth, families and marginalized community members. Her interest for improving access to healthy foods rose while pursuing a degree in Community Nutrition from McGill University. Since then, she has developed several community-based food programs to engage people of diverse backgrounds in sharing their knowledge and skills around food. During her time leading the Boîte à Lunch program, she facilitated community kitchens to develop the cooking skills and nutrition knowledge of thousands of children, youth, and newcomer families each year. This experience taught her about the powerful effect that food has in bringing a community together. 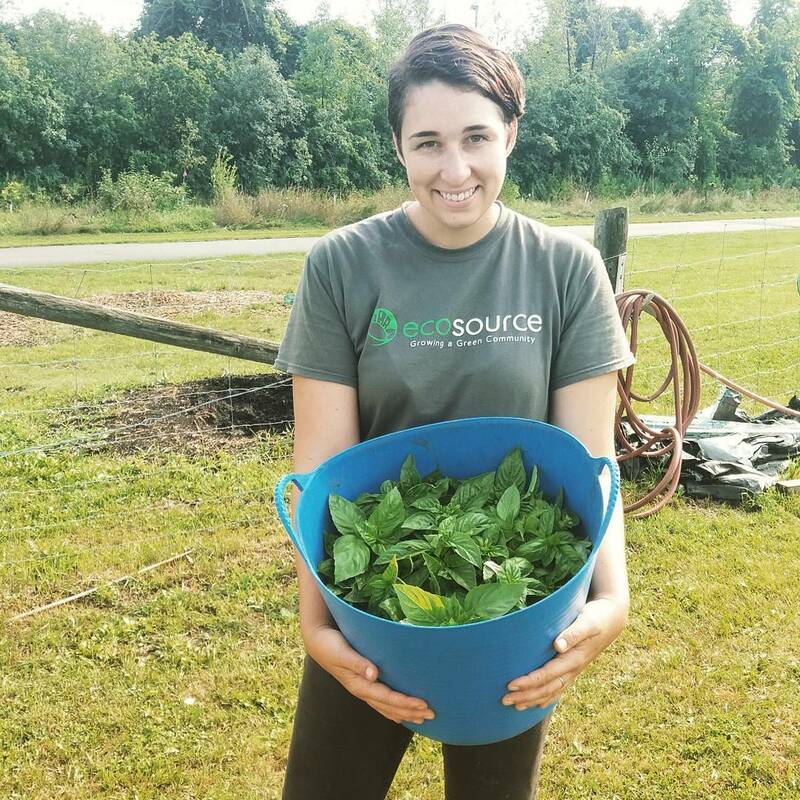 Merissa is excited to be working with the Ecosource team to explore food systems through urban agriculture initiatives. 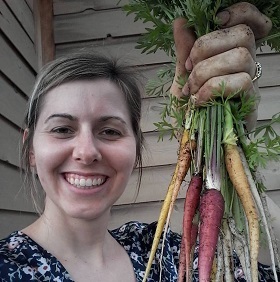 Kat is passionate about facilitating connection to self, community, and the natural world through the process of growing food. She honors food as medicine and sees food and nature connection as catalysts for learning, healing, vitality, and joy. She holds a Master of Education from University of Toronto with a focus on community food security and transformative learning. 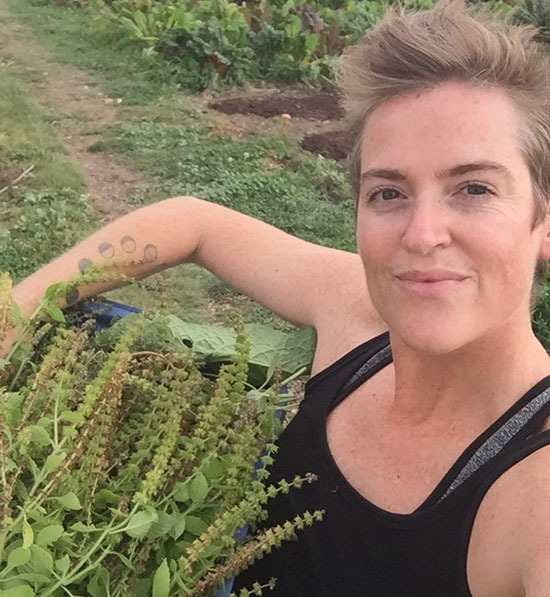 She is an urban farmer with nine years of growing experience, a project coordinator, as well as a restorative yoga instructor and reiki practitioner. Her interest in growing food was sparked while working on a community project in Grenada, West Indies and she has been growing food since she returned home in 2009. She spent two growing seasons coordinating and farming with The Cutting Veg Farm followed by a season at Everdale Farm. Throughout 2014, she developed a local-food purchasing policy for SickKids hospital while starting a small farm business, Lady Gaia, at Fresh City Farms, followed by a two-year contract as a project coordinator at South Riverdale Community Health Centre. She is currently studying medicinal herbs and is excited to share that with community. Deanna loves bringing people together over growing and preparing food. She holds a Master in Urban and International Development at University of Toronto where she focused her studies on food security, creation care, and using urban agriculture to build a sense of community. She has worked with A Rocha Canada to develop an Earth to Table program, in partnership with Hamilton Victory Gardens. This program successfully engaged newcomers in gardening and cooking workshops. Deanna has managed the rooftop garden at Riverdale Immigrant Women’s Centre while bringing volunteers and community members together to grow and prepare food for the centre’s social enterprise café. She is excited to work in Peel region to foster food literacy, accessibility, and excitement around local food. Laura is interested in sustainable community development, food, and environmental issues. She grew to love gardening through volunteering and working on organic farms in Canada, Kenya, and Ghana and graduated from the University of Guelph with a Bachelor of Arts in International Development. In her spare time Laura enjoys experimenting in the garden and the kitchen, from testing potato towers and making compost tea and tempeh to trying new recipes. As the lead for the new seniors’ gardening program at Ecosource, she is excited to share her passion for growing food, playing in a garden, and learning from others. Rav is passionate about empowering communities to engage in their local food systems. She is interested in exploring the relationship between food and aspects of urban society, including urban food security, food justice, and sustainable urban planning. This passion stems from Rav’s hands-on volunteer experience at food banks in Mississippi, where she saw how food was used as a tool to build strong, resilient communities. Rav holds a Bachelor of Science in Environmental Sciences from the University of Guelph. 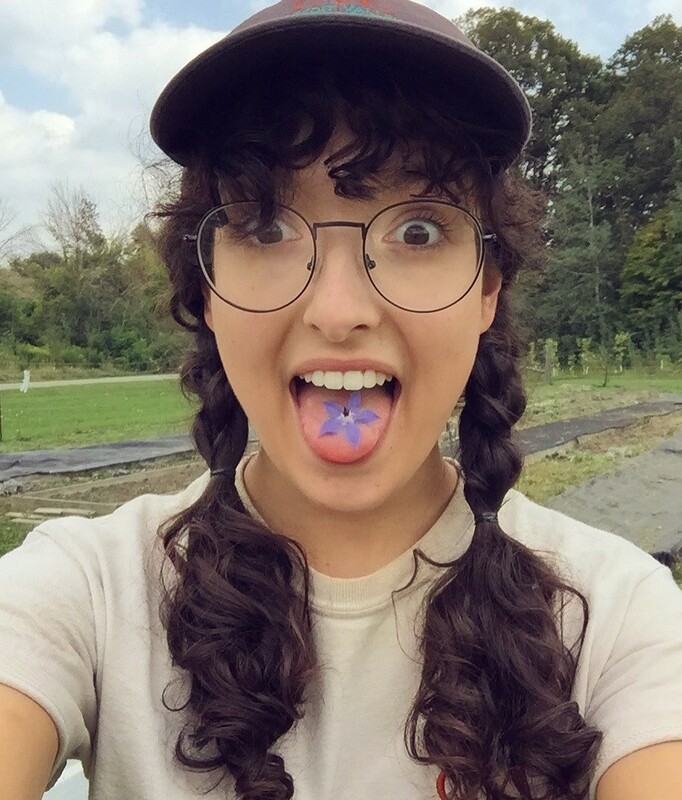 She has completed a CRAFT internship at a certified organic CSA farm in Guelph and an international agriculture internship in Costa Rica with CATIE. In her free time, Rav acts as the communications lead for the Food Secure Canada Youth Caucus. She also enjoys spending time in the studio practicing ballet, jamming on the piano, writing poetry, and drawing. Vandita is an environmental scientist with a background in conservation science. She has developed a passion for education over the years and enjoys engaging students in conversation about waste management, sustainability, and the importance of habitat conservation. She hopes to inspire students to learn and think about the environment and to do what’s in their power to protect it. She holds a Bachelor of Science in Biology and Environmental Science and a Master of Environmental Science from the University of Toronto. Vandita loves animals of all kinds, and has a great time exploring, hiking, and learning about the natural world and its many ecosystems. 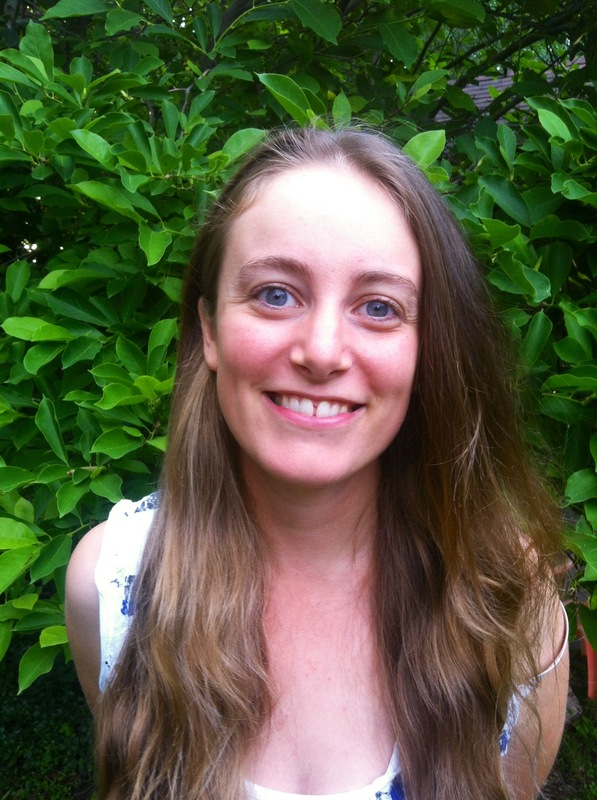 As an avid environmentalist and passionate educator, Caitlin is thrilled to bring her love of teaching and environmental justice to Ecosource. Caitlin received her Honours Bachelor of Arts in Environmental Studies and Gender Studies shortly before completing her Bachelor of Education with a specialization in Outdoor and Experiential Education. Over the past few years, she has worked and volunteered with various environmental and educational organizations, including EcoSchools. It is her belief that the voices of youth and marginalized communities need to be centered in our collective environmental action to ensure that the work we do is powerful and just. In her spare time, Caitlin enjoys hiking, cooking delicious vegan food, and attending conferences and rallies. 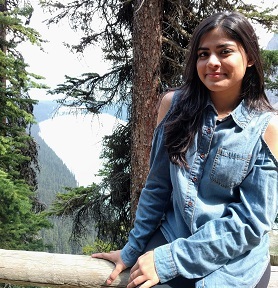 Fariha’s curiosity about the natural world led her to pursue an Honours Bachelor of Science in Physics from McMaster University. Through this experience, she developed a profound appreciation for the natural world and a moral obligation to protect it. She is passionate about grassroots movements that educate youth and local communities about the impacts of modern human activities on the environment and hopes to inspire, empower, and enable these communities to create local and global sustainable systems. 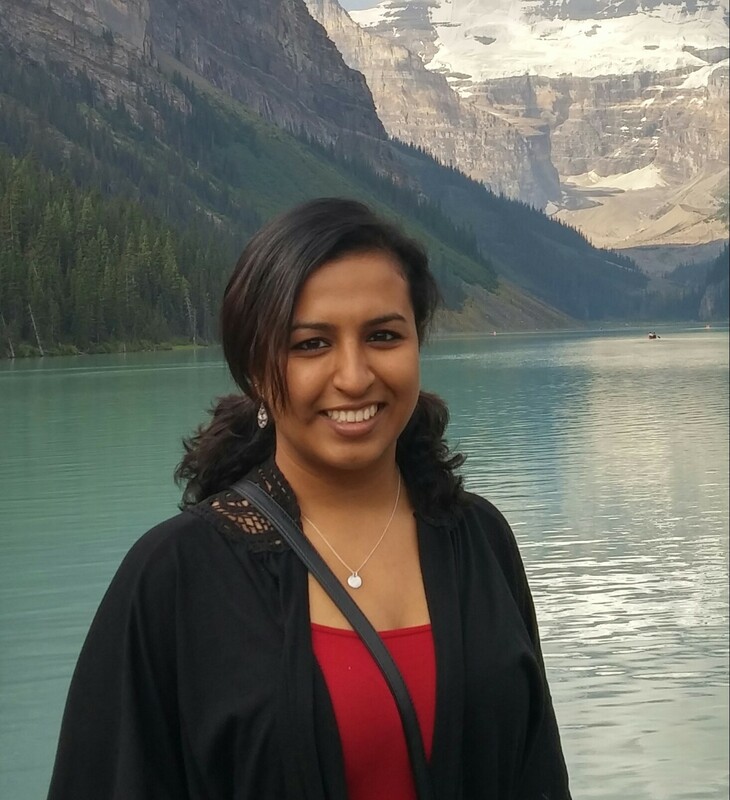 Fariha also holds a certificate in Sustainability Management and Enterprise Process Excellence from Ryerson University and has a multitude of experience working in the non-profit sector. She also enjoys yoga, travelling, and spending time with family and friends. Arielle completed her Honours Bachelor of Arts in Politics and Geography at McMaster University and her Master of Science in Sustainability Management at the University of Toronto. She is dedicated to fostering positive environmental and social change through early sustainability education and outreach. This passion stems from her years as a university teaching assistant and from volunteering for several environmental and humanitarian causes. Arielle is committed to inspiring others to take action and consume consciously to reduce their negative environmental and social impacts. She hopes that by raising environmental awareness she will encourage proper waste management and waste reduction within households, schools, and businesses. Arielle is also a proud vegetarian, an avid cyclist, and a musician. Adrienne holds a Bachelor of Environmental Science from McMaster University. After her studies she volunteered abroad in Ocean Conservation and Research where she discovered her passion for Environmental Education. Upon returning from her travels she enrolled in Fleming College and obtained a post-graduate diploma in Ecosystem Management Technology. Adrienne takes a holistic approach to the management of human activity within ecosystems. She has worked with various community outreach events to raise awareness of environmental protection, waste management, and environmental justice. She has worked in remote communities including Mushkegowuk Territory in Moose River, Ontario. In her spare time Adrienne enjoys camping and hiking with her four-legged companion.